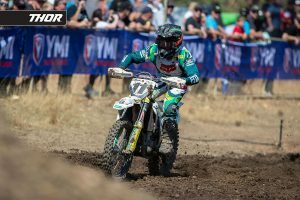 There’s more questions than answers, but the opening round of the 2019 Pirelli MX Nationals has been run and won, kicking off in unusual style. 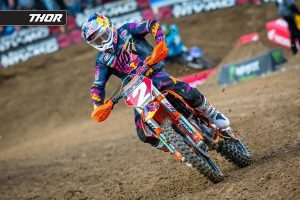 This is Motoview on MotoOnline.com.au, presented by Thor MX Australia. 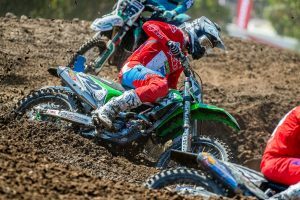 Woah, where do I start with Appin’s MX Nationals season-opener in New South Wales? It was a crazy weekend to say the least, and I don’t think we could’ve anticipated what was actually served up. We knew there was a strong chance of it being a mudder, although arriving and collecting content on Saturday at the track had us optimistic that there still could be prime conditions for Sunday’s racing. Unfortunately, the rain fell hard that night, and it didn’t really stop for the rest of the day. 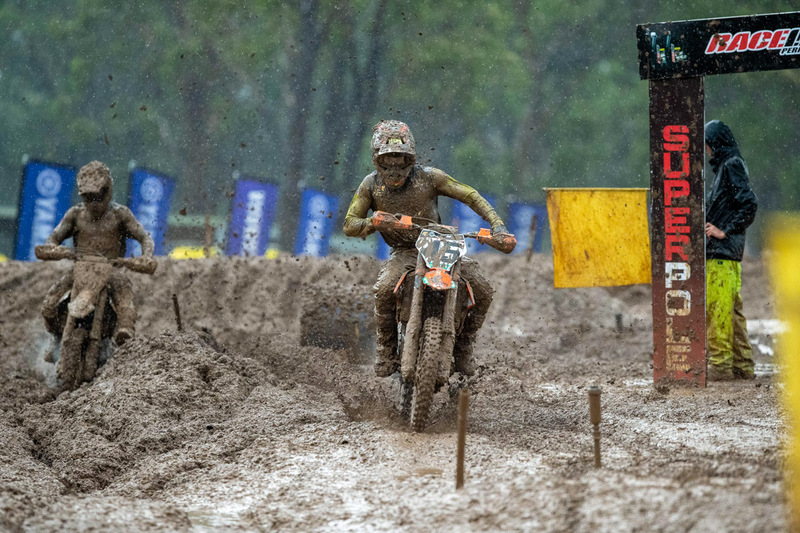 Races were initially shortened, but it was soon clear just how difficult the conditions were, prompting Williams Event Management – promoter of the MX Nationals – to declare proceedings after the first round of motos. While decisions from WEM always seem to draw criticism from keyboard warriors, it was most definitely the right call – and one that was welcomed by majority of riders, teams and crew. One of the biggest talking points to come out of the weekend were riders cutting inside of the markers – mainly due to the horrendous conditions – and of course, the now well reported fact Hayden Mellross (Raceline KTM Thor) was denied of a maiden MX1 win after being handed a 10-second track infringement penalty. I caught up with Hayden on Monday, where he accepted full responsibility for the penalty after reviewing the race footage – which is a testament to his character as a person. On the other side of things, I was able to conduct a really interesting interview eventual winner Todd Waters (DPH Motorsport Husqvarna) yesterday – in typical Waters fashion, he was brutally honest and didn’t hold back his thoughts on the whole situation. As it pans out sometimes, it promoted some real interest across our social channels. It’s awesome to see athletes in the sport not only show personality, but also speak their mind rather than a offering vanilla responses to keep everyone happy. It creates much needed interest in the sport, and that is what’s going to help it grow. I can tell you now, there’s sure going to be a large bunch of people who tune into every source of info they can when round two comes around to see if there’s anything more brewing in this growing Mellross/Waters rivalry. On a side note from the weekend, a really cool story to come out it was privateer Riley Stephens (Honda) pulling over to assist Kyle Webster (Penrite Pirelli CRF Honda Racing) – you don’t see acts of kindness like that on the track too often, but it’s absolutely fantastic to hear about. 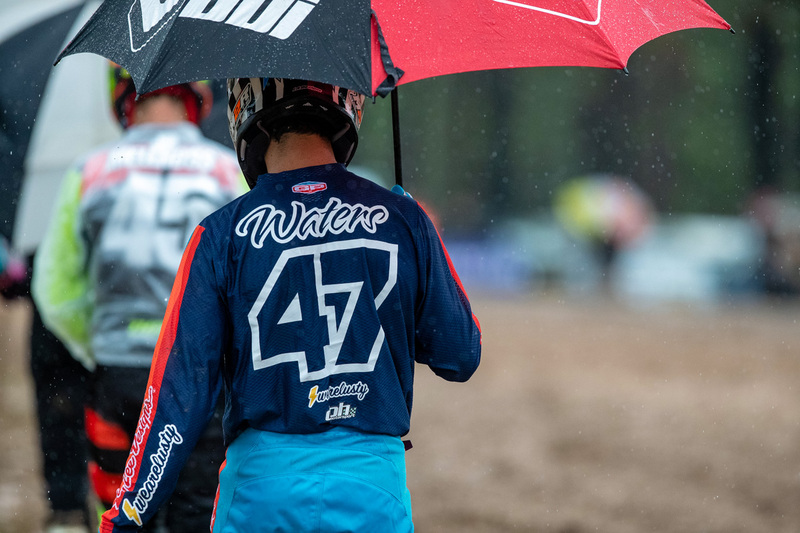 Webster found himself stuck in the mud, and after Stephens helped free his bike, the Western Australian was able to bounce back to 15th, salvaging much needed points. If it wasn’t for Stephens’ assistance, it could’ve been a very damaging start to the year for Webster. While round one wasn’t what any of us wanted it to be, it still managed serve up its fair share of headlines. I can’t wait for the rest of the season to unfold, because we’re in for one helluva year! That’s it for this week, we’ll catch you next Wednesday with another Motoview presented by Thor MX Australia feature! In the meantime stay tuned to MotoOnline.com.au for the latest daily content and be sure to follow us on social media via @motoonline on Instagram, Facebook and Twitter.